This is a tragic tale of Charlotte Dymond a pretty young servant working on Penhale farm on the outskirts of Bodmin Moor. The farmhouse was located in the midst of Camelford and Davidstow. The farm was owned by an elderly woman and her son. Charlotte together with two other young servants, named John Stevens and Matthew Weeks both in their 20s, lived at the farm. Weeks had been working on the farm for around seven years. The entire town knew that Charlotte had been dating Matthew much before she had started working at the farm. Matthew though an ordinary looking man having a scar and walked with a limp, seemed to amaze others with his well-dressed clothing. According to some, Charlotte seemed to be pretty though a flirtatious girl. Thomas Prout the 26 year old nephew of the farm owner, working on several occasions with Weeks also admired Charlotte. It was rumoured that he had intention of taking her away from Weeks. However it was later disclosed that Weeks planned to elope with Charlotte from the farm. The tragedy took place on April 14th 1844. It was a Sunday and most of them had their best outfit. Charlotte had been wearing a green striped dress accompanied by a red shawl. She was last seen with Weeks when they had left the farm together walking towards the moor which did not seem unusual. They had been spotted by an old farmer through the fog and Weeks had been recognised due to his limp. Everyone was of the opinion that Charlotte was with Weeks since they had been seen leaving the farm together. Later in the evening, Weeks had returned to the farm all alone. When Charlotte did not return for some days, people began noticing her absence. As the days went by suspicion of Charlotte’s disappearance started increasing. Weeks informed the family that Charlotte had a job in Blisland. This was a few miles away from the farmand Charlotte had intention of staying at her friend’s place. After a period of one weeks of her absence, the household decided to investigate about Charlotte. They checked on the job offer to Blisland and found that she had not been offered any job position. On that same day Weeks had put on his Sunday best and left the farm with no plan of coming back. The farmer’s wife on taking Weeks’ clothes for laundering the next day, observed the torn collar, with some buttons missing as well as some spots of blood on his shirt. This gave rise to suspicion that Charlotte had been murdered by Weeks. A week after her disappearance from the farm, a search party was organised to locate her. Her body was later found on the banks of the river Alan in the shadow of Roughtor, which is the second highest point of Cornwall. It was observed that Charlotte had been killed by an awfully deep cut on her throat from one ear to the other. On examination it was discovered that it had been perhaps due to two cuts. With the body traced and on examination of the injuries, it was evident that the culprit had been Weeks. A warrantwas issued to arrest him and he had gone missing from the scene. He was eventually located in Plymouth at his sister’s place, with the intention of disappearing to the Channel Islands. On thorough investigation of his belonging, a pair of lady’s gloves together with blood stained kerchief was found. The locals were completely shocked with the killing of Charlotte away from the farmand they all demanded for justice. On August 2nd, Weeks underwent trial at Bodmin Assize Court. 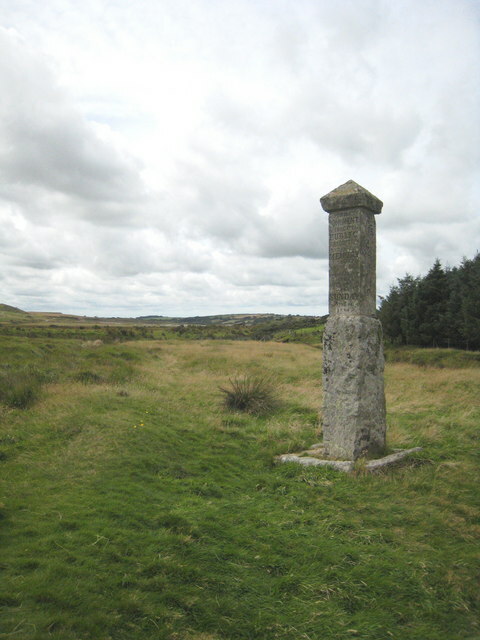 Bodmin had been the county town during that time and thishad been the reason for the case to receive so much attention. Besides this, the evidence portrayed by the coroner revealed that the wound was not self-inflicted. Weeks on his part pleaded of not being guilty and it took more than half an hour for the jury to pronounce a guilt-ridden decree which was death by hanging. `I hope young men will take a warning by me and put too much confidence in young women, the same as I did; and I hope young females will take the same by young men. I loved that girl as dear as I loved my life, and after all the kind treatment I have showed her and then she said she would have nothing more to do with me. And after this was done, then bitterly I did lament, thinking what would be my end. And I thank the judge and jury too, far they have given me no more than was my due’. On August 12, 1844, at 12.noon, Matthew Weeks was executed in front of a huge crowd outside Bodmin Gaol and his body lay buried in the coal yard of the prison. From the account of the event that took place, it seemed obvious that Weeks had been guilty. But there has been plenty of debate over the murder mystery of Charlotte at the farm. One explanation states that it was a suicide and Charlotte may have been pregnant and in order to avoid the disgrace had slit her throat to end her life away from the farm. In the absence of any other suspects and with the confession, the murder that took place near the farm, of Charlotte still seems to be a mystery.